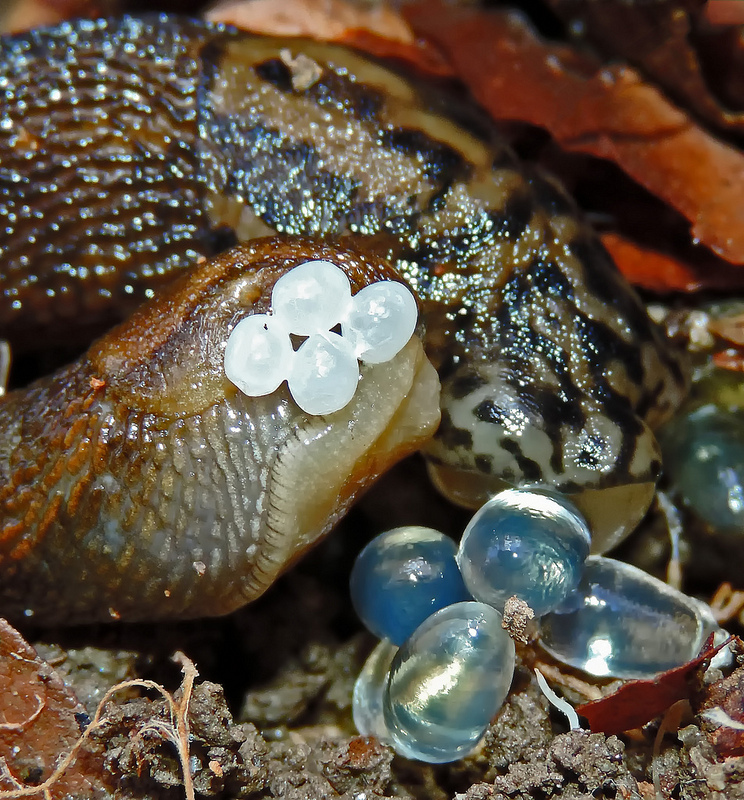 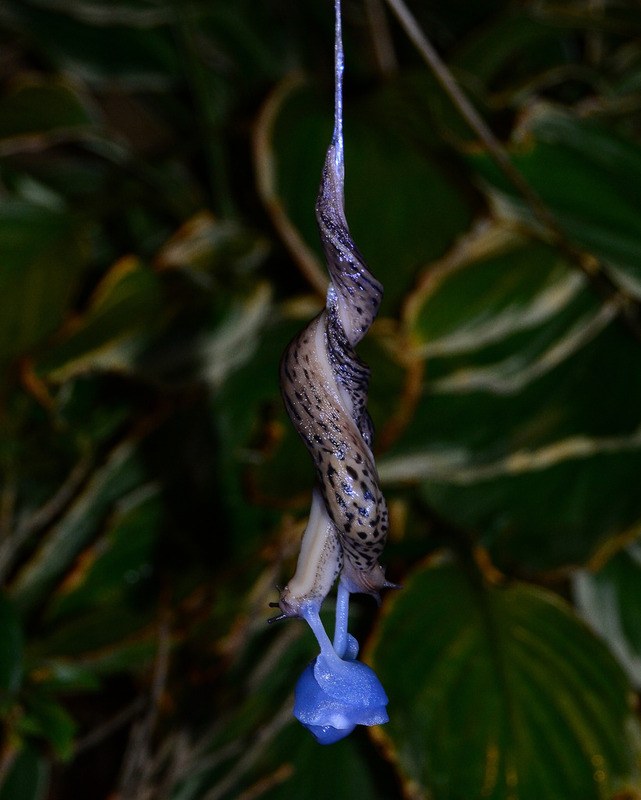 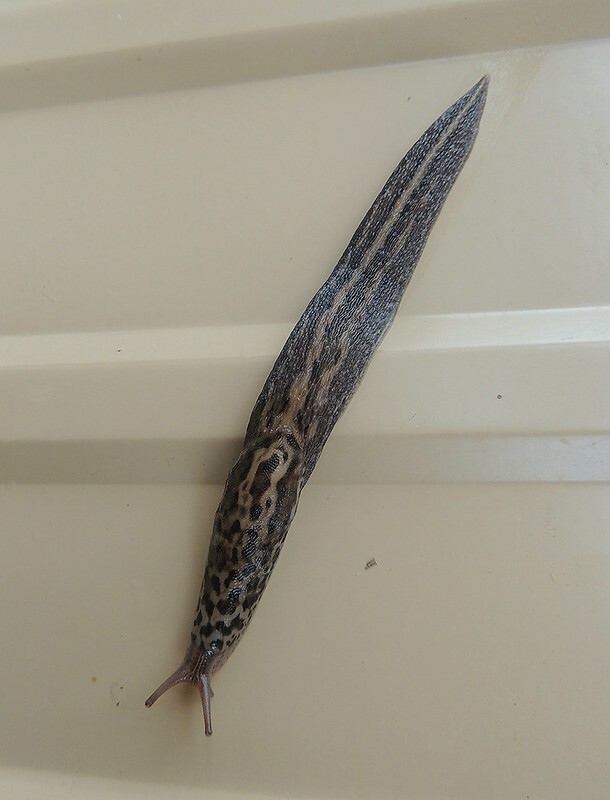 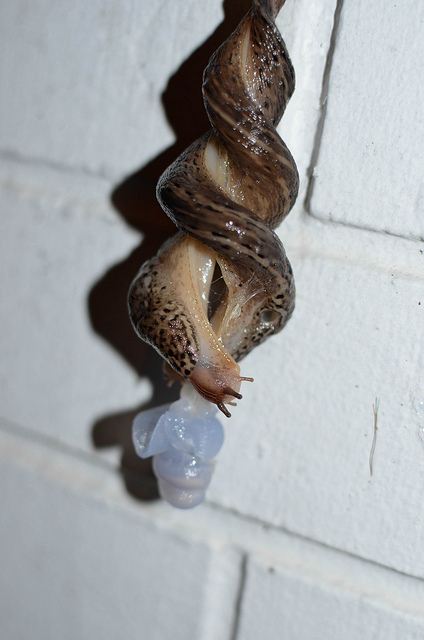 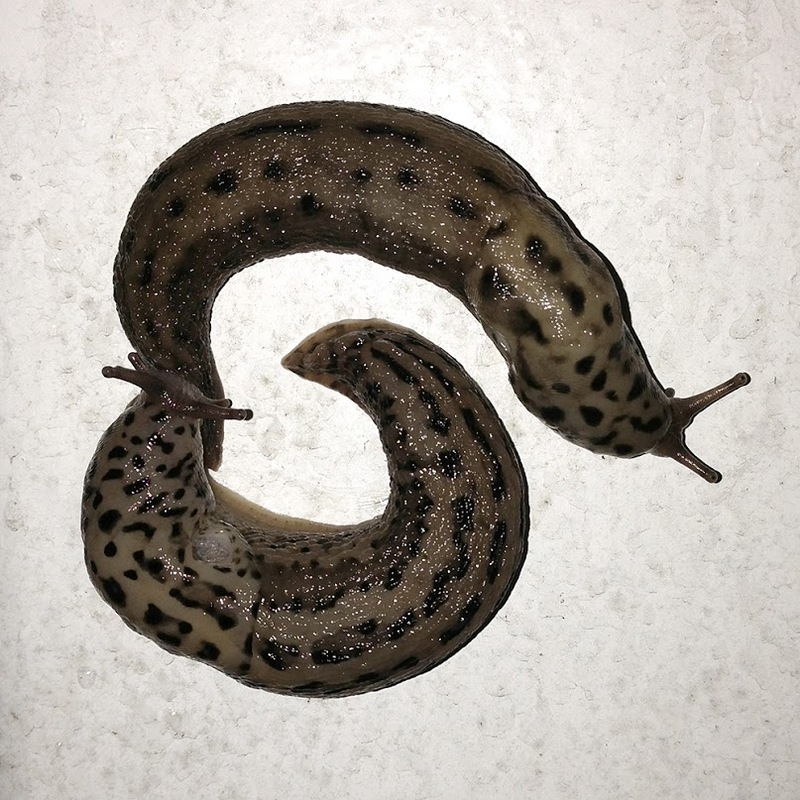 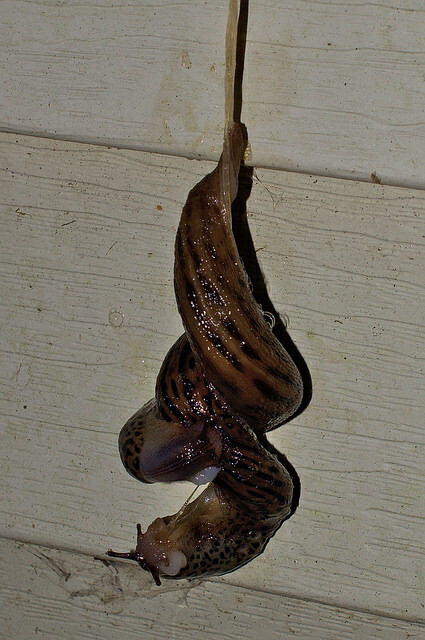 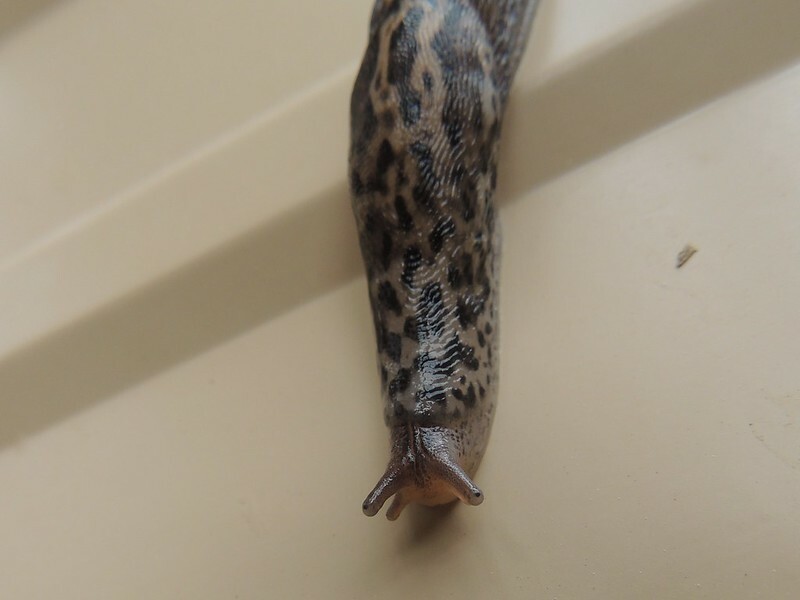 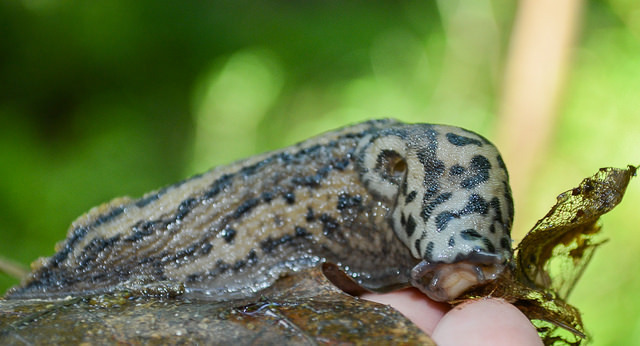 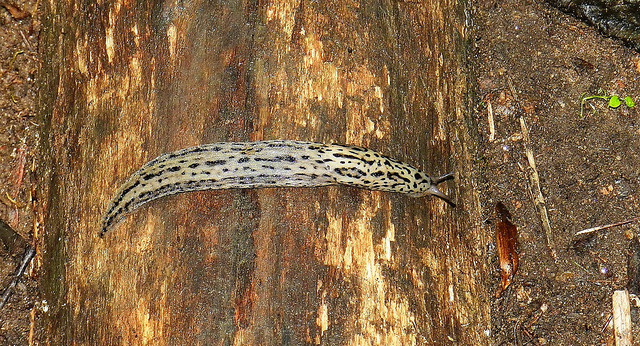 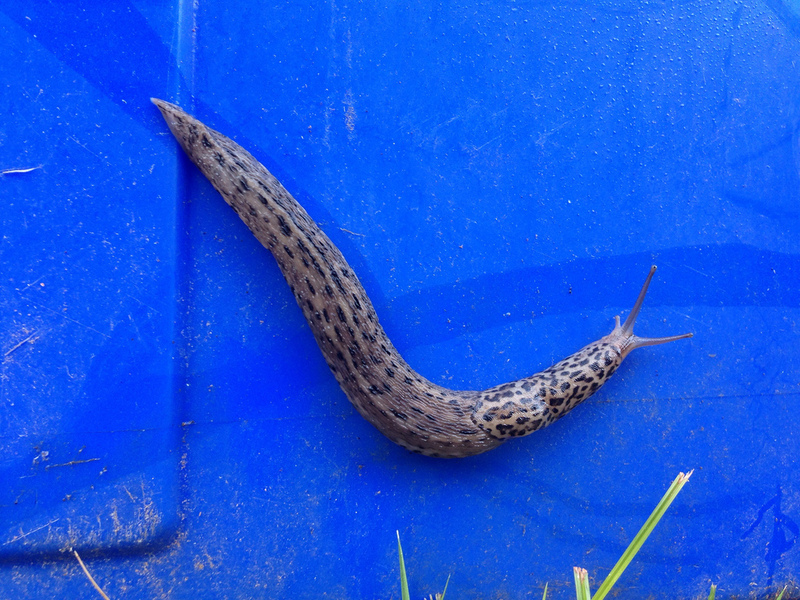 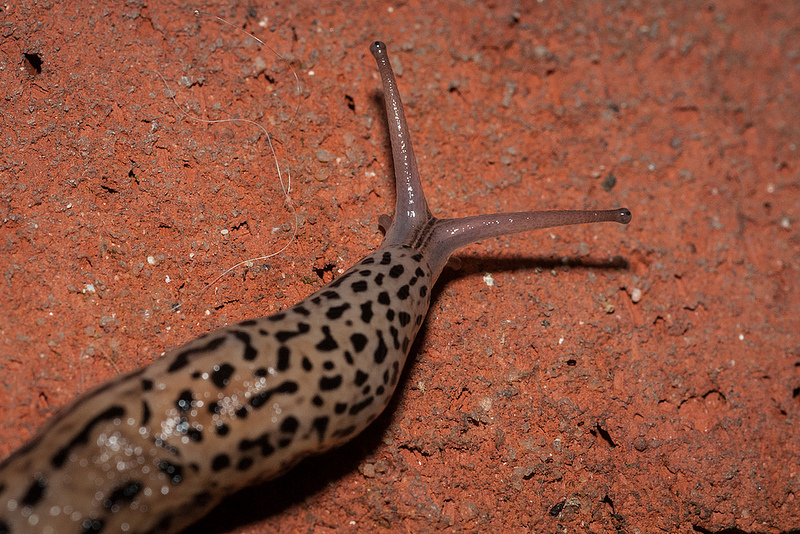 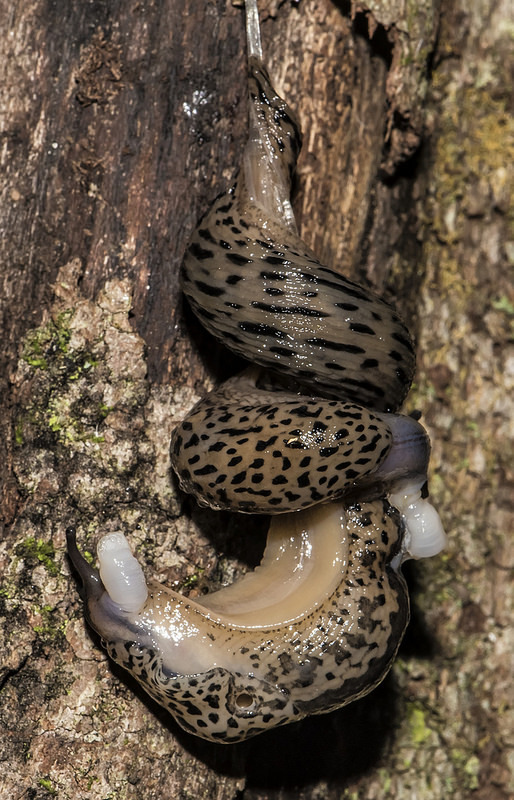 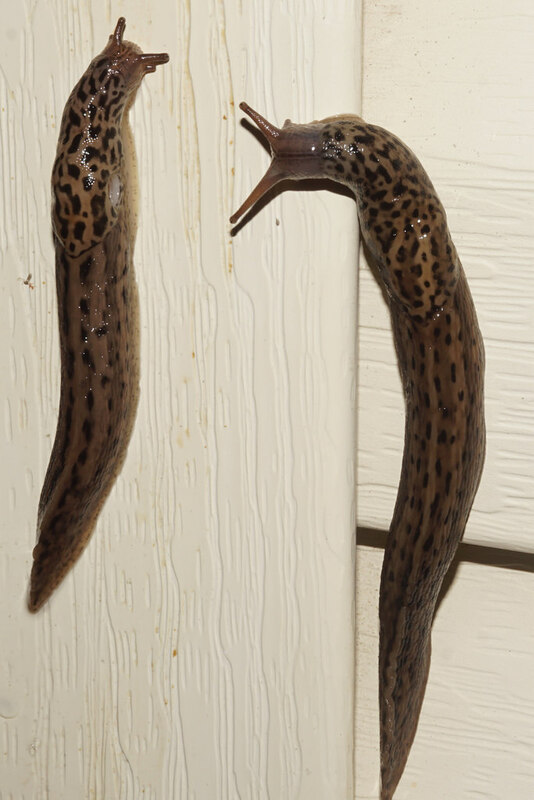 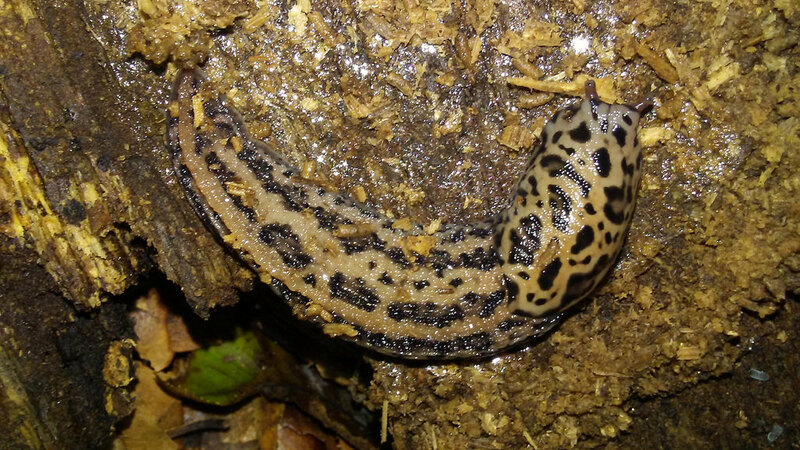 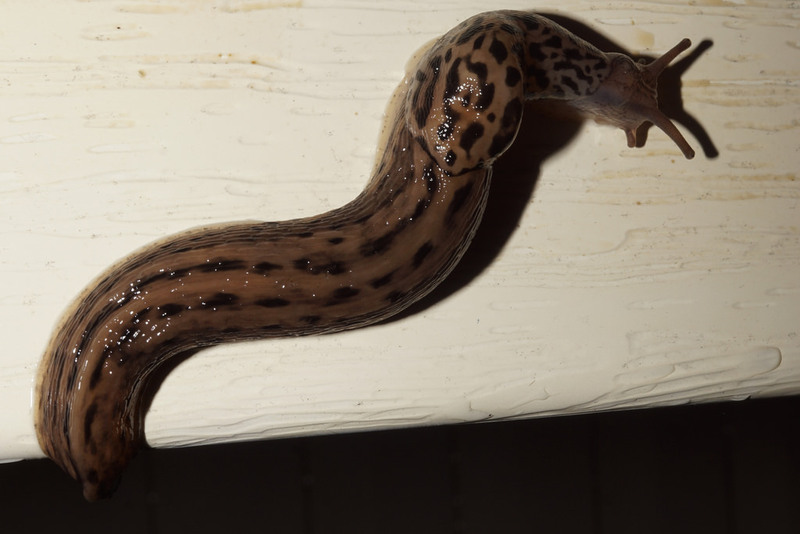 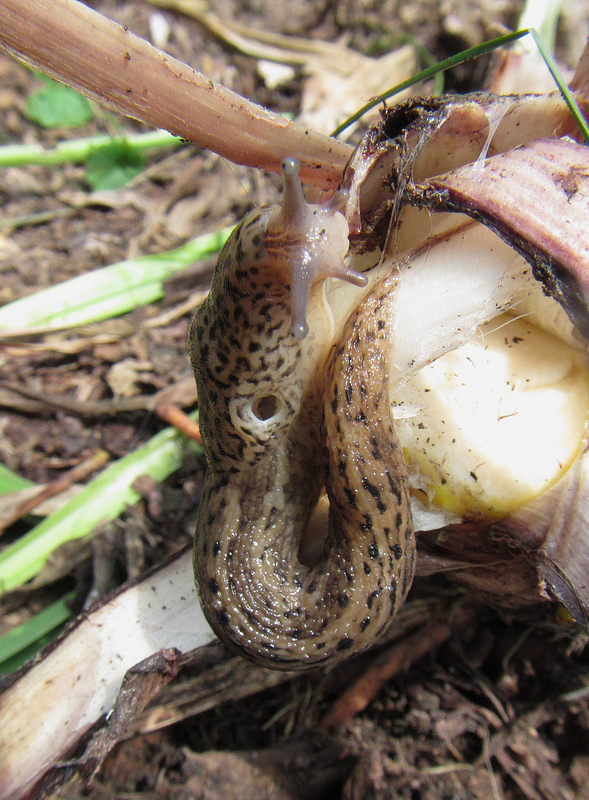 Leopard Slug Limax maximus Linnaeus, 1758Non-native Synonyms: European Garden Slug, Great Gray Slug. 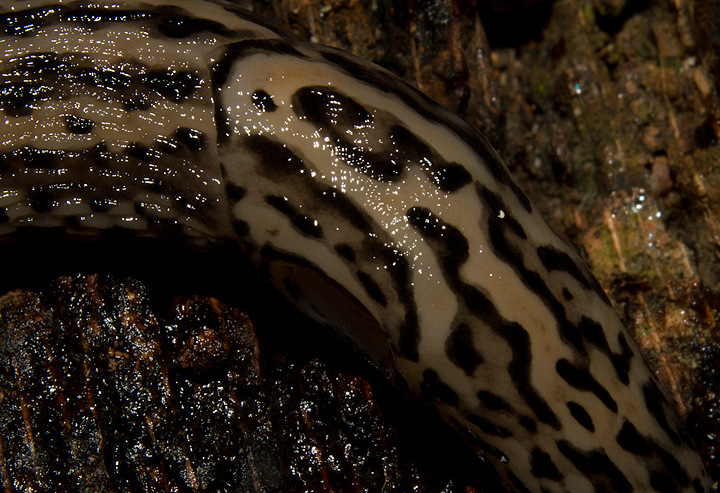 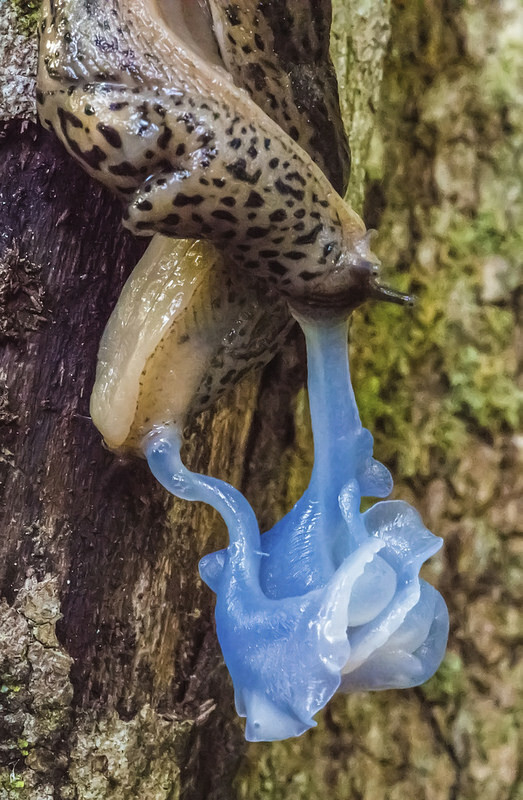 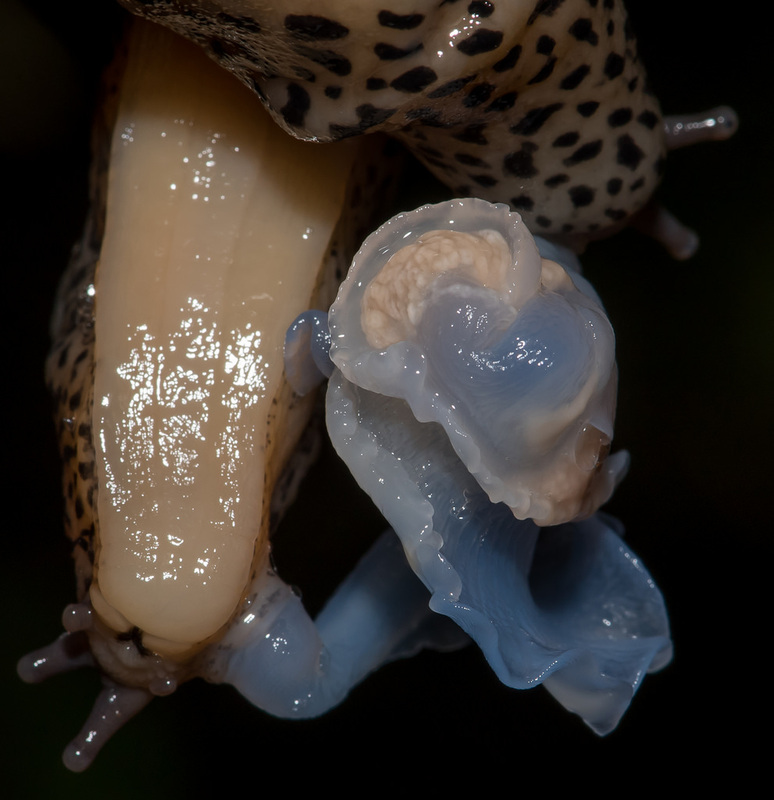 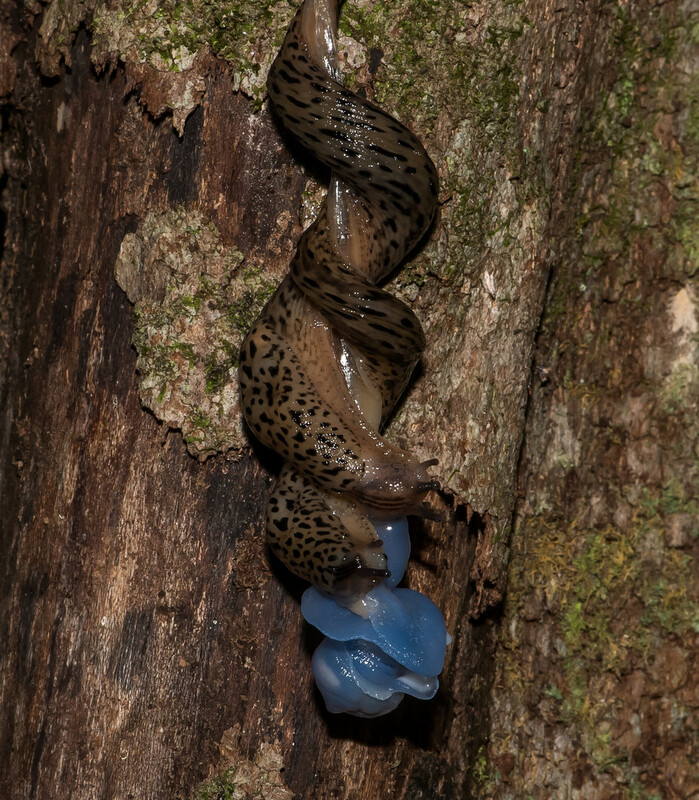 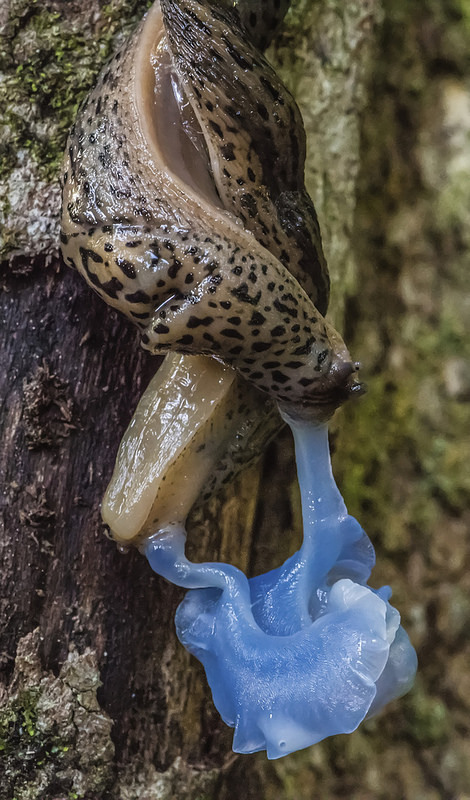 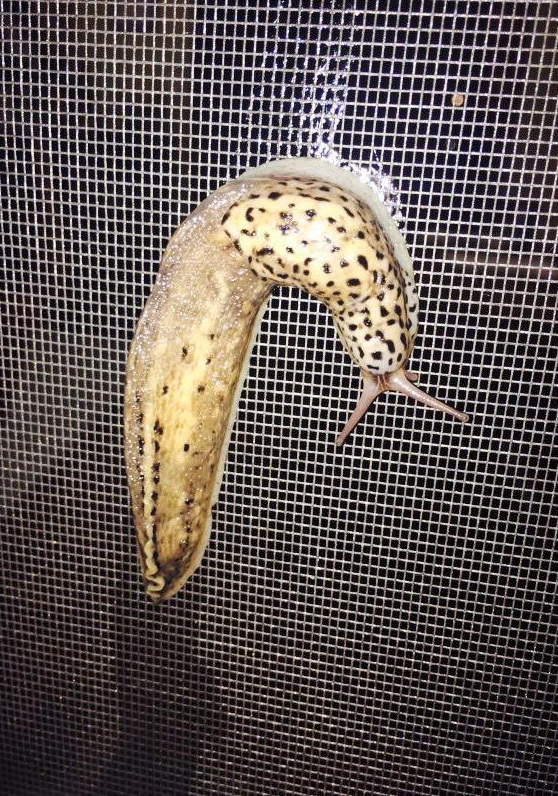 This is one of the largest and most striking of the world's slugs. 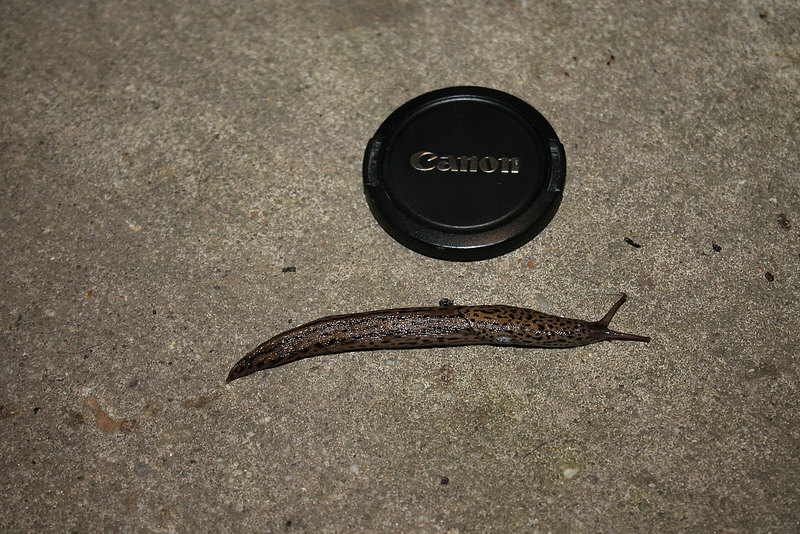 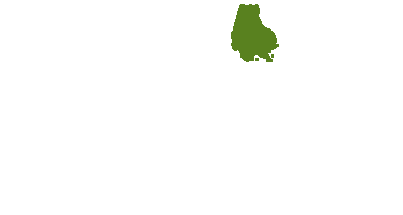 Considered native to Europe and parts of Africa, it has been widely introduced in the U.S. and other parts of the world. 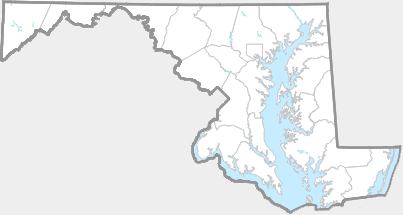 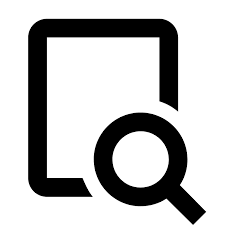 Occurs around developed areas throughout North America. 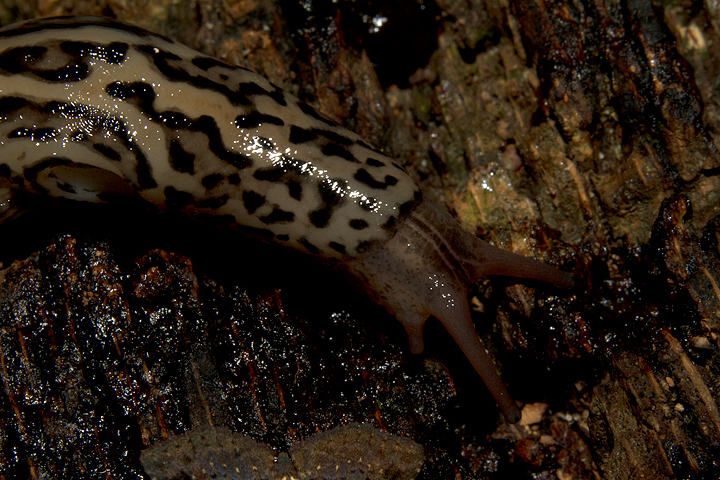 Exact arrival date unknown, but recorded as common in Philadelphia by 1867 (Norden & Williams, 2015).